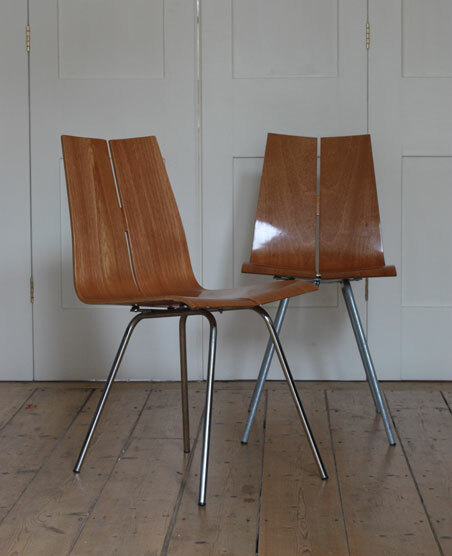 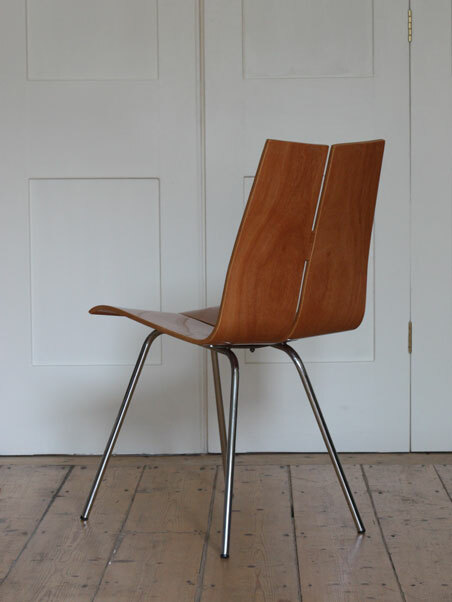 Two GA chairs designed in 1955 by Hans Bellmann for Horgen-Glarus/Switzerland. 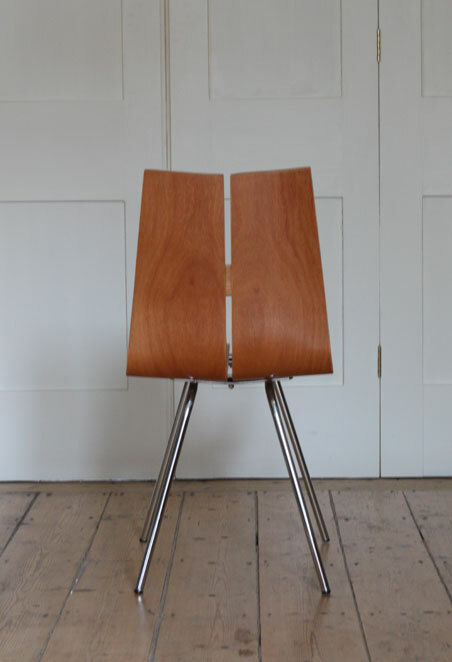 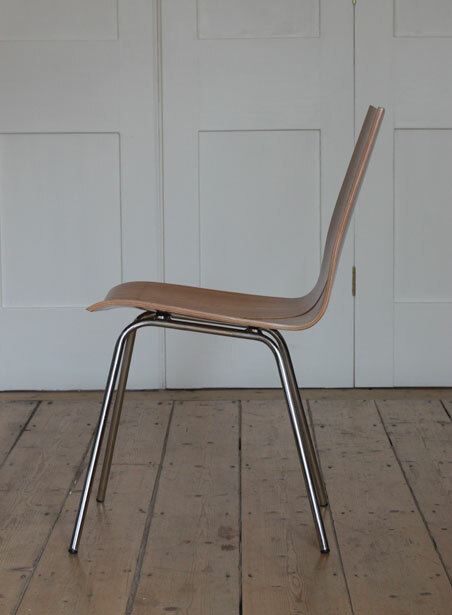 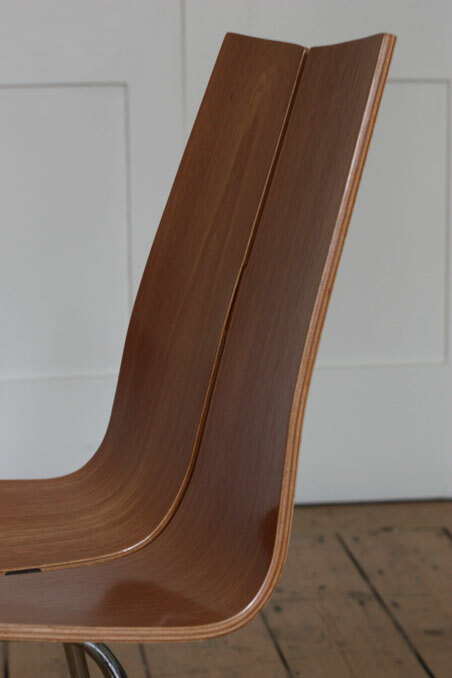 Bent veneered plywood seats, one on a chromed base and the other with a grey painted base. 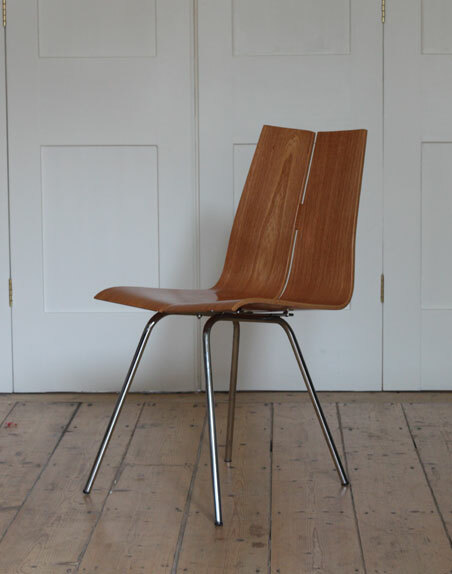 In excellent repolished condition with some light marks. 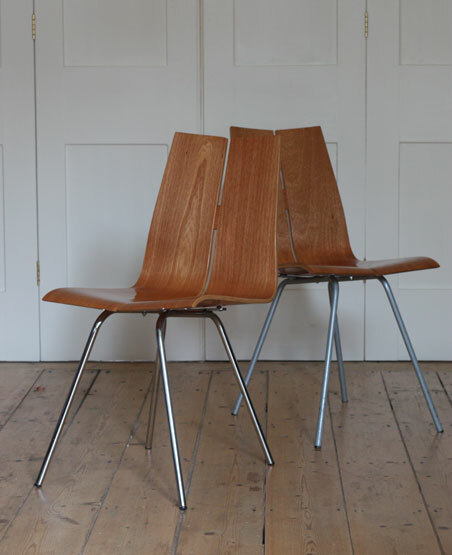 A comfortable and elegant pair of chairs.